Springtails behave in a certain way that make them one of the most annoying and frustrating pests to control. There are many reasons why. First, I will list why they can be so frustrating. Second, I’ll list some springtail facts so you can better understand this pest and last, I’ll list what works best if you wish to control a local problem. When springtails start to appear in your home, you’re not seeing the “real” problem. Local treatments inside the home won’t stop the invasion and if you’ve been spraying inside where you see them, you know exactly what I mean. The reason for this is simple; springtails can easily outpace the spray. True, they’re easy to kill. But even the strongest residual will take 2-3 days to kill an insect after its dry. That means new springtails entering the home will be seen for several days and since you can easily get hundreds entering the home daily, the net impact of the spray will barely be detectable. For this reason its important to treat when they come back and for many homeowners, this will mean treating every 1-2 days (unless you stop them from entering!). Springtails can appear on freshly treated surfaces and you can’t imagine how they can still be alive after all the spray you just applied! Springtails are a pest most service companies aren’t prepared to handle (they’re not prepared to apply enough chemical to get control nor do they want to keep coming back to your home very few days). Consequently their treatments won’t stop the problem and many times it will appear to make it worse. This happens because many companies use “repellent” sprays which can flush out colonized springtails and since this can take hours to happen, they only become visible long after the tech has left. Additionally, there are many companies who will no longer even treat for this pest. Springtails can invade by the thousands and they can do it quickly. Your home can become a mess in a matter of minutes once they emerge and get into their “migratory” mode of action. And for some reason it seems as though this happens at the worse of times (like when guests are visiting). Springtails are largely misunderstood so it’s hard to get good answers when it comes to solving a local problem. This just adds to the frustration anyone with a problem can feel. Springtails will many times have established “paths” or what we call “exodus trails”. These trails will be used over and over. Many times one house on the block or one building in a series can be the “end of the trail” so the net effect is a channeling of springtails from an acre or more to just one yard or home. Suffice to say this can be very frustrating to that specific land owner. Springtails live in the ground feeding on organic matter like dead plants, small microbes and anything recyclable. Like termites, they’re very important to any local ecosystem. Essentially “recyclers”, they can live anywhere and appear on most all land around the world. For the most part they live their lives in peace but when their numbers hit critical mass, they’re effectively forced to relocate and this is when they will conflict with man. Springtails are the food of many insects. If you allow springtails to thrive on your property, they will most assuredly attract other pests like beetles, centipedes, roaches, ants, crickets and just about any other insect. Springtail problems start in dirt. They tend to live in topsoil where it’s moist and damp. They love flower beds, lawns where grass clippings are recycled and left as mulch, up under pine bark, pine straw and most any wood chip bed as well as under rocks, slabs and any moist ground where it’s both dark, shady and dank. Weed barriers are essentially “springtail incubators” and should not be laid down within 10 feet of the home or else you’ll be inviting springtails to infest your house. Homes with basements usually have the top soil removed prior to the concrete being poured which can help keep them out of the home for a year or so after it’s built. Slab homes have their concrete poured right on top of the active springtails so within months of the home being built it will succumb to the springtail migrations and become infested. This is why so many new homeowners experience invasions and wonder how this can be happening to their new home. The answer is simple: they were present around the home when construction began. Springtails migrate when populations grow large or when they are attempting to move away from extreme heat, cold or moisture. This is when you start seeing them inside the home, on the homes foundation, exterior siding or up on the top of the ground. In fact, they will commonly migrate out of the ground in the winter during a warm period when the snow melts. At this time the saturated soil will cause them to rise up and out of the water where they’ll appear on top of the snow. This can happen any time of year but in general when the population is significantly large enough to support the migration. Springtails will die in a few days once exposed to most any air found in the home and cannot live out in the open for any significant length of time. Springtails do not “nest” in the home, furniture, clothing, people, pets, rugs or anywhere out in the open where you see them. But they will definitely form “pockets”. These pockets can harbor hundreds but without the microbial food they require and the moisture they need, the inhabitants of these pockets will die in a few days. The problem is they’ll usually be replaced by fresh springtails faster than they die so the net effect is a seemingly never ending local problem that seems to be growing in size. Again, all the springtails you see have left the confines of the ground nest seeking a new place to live and simply made a wrong turn. If left alone, they’ll die. But if these pockets are not treated and more importantly, the ground around the home isn’t treated, you’ll continue to see them on a daily basis. Granted this might not happen much when your region is in a dry spell but when moisture abounds, so too will the springtails. There is no pesticide strong enough to stop them once they start invading. In other words, treating inside the home on top of baseboards, foundation walls, around door frames and windows won’t stop them from getting inside. No doubt these treatments will help by killing live active springtails present. But once this treatment dries, it looses its ability to kill quickly so new springtails coming into the home just hours after you treat will be able to live and thrive for several days before succumbing to the treating. So if you want stop them from entering the home, you’ll need to treat the outside and in most cases this area will be both large and will require a lot of applications over a 1-2 month period of time. What will NOT work on springtail problems. Simply spraying the inside of the home. This is a complete waste and though you should definitely be doing some treating inside, this action alone will not solve the problem. Spraying furniture, rugs, walls, attics, basements or crawl spaces will not prevent more springtails from moving back to these locations. Washing your clothes, bedding, floors or countertops as a method of control. Wash these things to get rid of active springtails but understand they’ll get infested again within a few days if you don’t start treating as we explain. Pouring bleach down the drain for springtails in the sink. This won’t do much since the developing and nesting stages are lodged in the slimy organic matter accumulating on the pipe walls which must be removed using a special enzyme (listed below). Bleach does not remove this slime so it won’t help your cause. So how do you control springtails? First and foremost, identify the moist areas around your home. Springtails love moist soil and will thrive in irrigated, watered lawns. When such areas develop in the yard, the population of springtails around your home will increase. When such areas dry up and loose their moisture, so too will the over abundance of springtails. Sometimes the moisture comes from excessive rainfall which you cannot control. Other times it comes from a neighbors sprinkler system which you probably still can’t control. But your own watering can be controlled and if you aren’t willing to reduce it, you’ll need to treat the areas with some BIFEN GRANULES to keep it springtail free. An ongoing treatment regime of applying 2-3 lbs of granules per side of the home covering a 10 foot wide area will keep your soil springtail free. Start doing this every spring and if you stay the course and treat once a month, you’ll keep the local numbers in check which will many times keep them out of the home. Focus on flower beds, around vegetable gardens, pine straw mulch piles, compost piles, potted plants, wood chip beds, grass clippings, leaves, weed barriers and just about anything that covers the ground around the home. All of these areas will serve as a sort of “springtail oven” that will grow populations quickly if left untreated. When treating outside, don’t think small; think big. In most cases, it’s just about impossible to narrow down just where the springtails are coming from so don’t try. Instead, use the “shotgun” approach and treat as much of the land surrounding the house as you can. We recommend at least a 10 foot band coming out away from the foundation but doing more can make the overall treatment even more effective. After applying the Bifen Granules, spray over the top with CYONARA RTS. This will get the granules “activated” as well as knock out all foraging springtails. Cyonara is odorless and easy to use. One quart will cover up to 1/2 acre so expect to use 1/4 to 1/2 jug per treatment. Use it on the homes siding too since springtail “pockets” will form up under siding, around gutters, etc. Treat at least twice a month when you see activity and more frequently if you see them coming back in 7 days or less. But once they’re gone, spraying once a month when you apply the granules will keep them away for good. Realize that any cement poured around the home and up against the foundation like a patio, driveway, stoop, garage or shed can all serve as a springtail haven. These slabs cover dirt, hold moisture, provide shade and when connected to the home present a direct way for migrating springtails to get inside to living areas. In some cases these areas will need to be treated as explained in our SPRINGTAIL CONTROL ARTICLE. This will be necessary to stop them from getting inside because again, if the population explodes so much and they start migrating, there is no chemical we have that will stop them from getting inside. That means you’ll be subject to the invasion if you don’t treat under these cement slabs. Try to remove as much of the organic matter, ground cover and other springtail “enablers” around the home and within this 10 foot band of soil closest to the homes foundation. Removing this material will indirectly reduce the moisture level and food supplies which in turn will directly reduce the amount of springtails that can survive. Alternatively you can simply apply the Bifen Granules and Cyonara on the monthly schedule listed above and the chemicals will definitely keep their numbers in check. Fix all leaks on the home related to a bad water pipe, garden hose, a poorly draining air conditioning unit or a leaky roof. Such areas can become secondary pocket nests for migrating springtails that find their way onto or inside the home and if you don’t stop the moisture, you won’t stop the invasion. How to treat springtails coming up in the sink? Springtails will thrive in any sewer line or septic tank system connected to the home. Once these areas get infested, its just a matter of time before they forage through the pipes and end up inside the home. You’ll know this is happening when you start seeing springtails in the sink. Typically drain line cleaners like Draino or bleach won’t stop this invasion. Springtails will move into the slimy buildup of organic matter common to any drain and just a thin layer will keep them protected for most cleaners. But SURVIVORS poured down the drain will “eat” away this slime and thus remove this location as a nest site. Use 3-4 oz down any drain they’re using and treat once a week during the spring and summer months. Do the application late at night, just before you retire, so it can sit for several hours undisturbed. 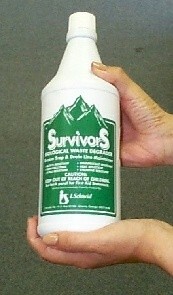 Since survivors won’t actually kill any active springtails, you’ll need to spray down the drain with PT-CYKICK AEROSOL. 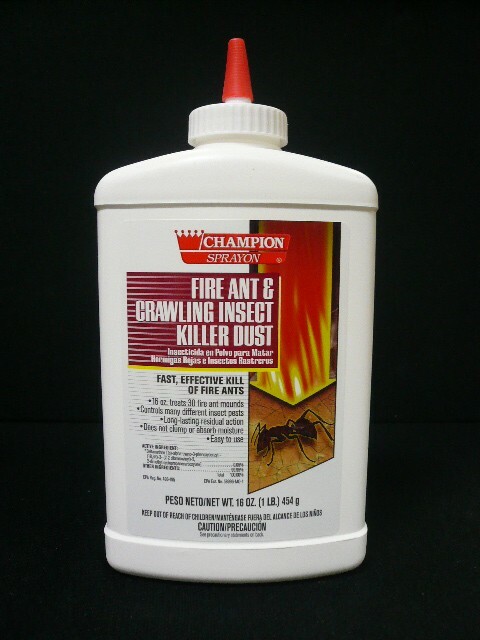 This odorless aerosol is fast working on springtails and it only takes a 3-5 second blast down any drain with activity. Cykick will penetrate most slimy buildups and kill all insects in its path. Use as needed; 1-2 a week when first treating is recommended and once the problem is gone, once a week should be enough to keep them under control. What about springtails nesting up under my homes siding? If your home has cedar shakes, vinyl or aluminum siding, there is a good chance you have springtails pocketing up under and behind the siding. Other exteriors can harbor springtails as can any gutter that doesn’t drain completely. For this reason its not uncommon to find springtails nesting along the roofline and making their way inside the home onto the second level. Spraying the homes siding can help reduce these pockets but vinyl or aluminum siding will need to be dusted to effectively eliminate this key nest site. DELTAMETHRIN DUST puffed under every row of siding will last 6-12 months per treatment and once applied, will both kill on contact and keep them away for the entire season. Use 1 lb for every 1,000 sq/ft of siding; most homes will need 2-3 lbs by the time you treat along gutters, rooflines and all the cracks commonly found on any home. Use a good HAND DUSTER to make the application. These dusters will blow the dust a good 4-6 feet in an open void and when used for treating under siding, you’ll get good 2-3 feet of coverage per spot you dust. Be sure to treat as many rows of the siding as possible and if you’re finding springtails on the second level of the home, you should treat the entire side. Use a DUSTICK to help with the application; it will enable you to treat up to a 30 foot height or more without having to climb a ladder. Lastly, be patient! Springtails are very much like the herpes virus. Most people don’t know they have herpes until they have an outbreak. And though there are medications that can help to control outbreaks, these treatments will only help to minimize the symptom because there is no cure. The same is true for springtails. These guys exist deep down in the ground around all homes and structures and when conditions are right, they are able to reproduce to such levels that they are forced to migrate out into the open (like a herpes sore). Treatments for springtails (Cyonara, Bifen Granules, CyKikc, etc.) will help to minimize the symptom by allowing you create a “springtail free zone” around home. But they’ll still be outside, omnipresent and lurking. In summary, if you currently have springtails invading, there is a really only one thing you need to do and that is to focus your attention on the outside of the home where they are likely breeding. If you treat all areas you stand the best chance of getting rid of them quickly. If you spot treat, there is a greater chance the problem will be ongoing since it’s so easy to miss a spot or too. And for a more complete reading on this pest, read our SPRINGTAIL CONTROL article. It gets into more details so you can better understand this pest. Lastly, if you still have questions, give us a call toll free at 1-800-877-7290 and one of our technical reps should be able to further assist. I had a huge migration of springtails last summer. Used professional all summer and fall to spray. Knocked the number down, but did not get rid of them. They are back again already. Got rid of mulch around house and also found them able to thrive in an empty, but somewhat rotting wood flower box. No standing water anywhere. No moisture in house. If I continue treatments this year do I have hope of getting rid of these or are they here to stay? Been in the house for 12yrs. Never saw them before last summer. No neighbors saw one springtail. I live in 3 unit townhouse. Any suggestions other than keep doing the treatments? Thanks for the help. I used bifen that I ordered from u too. @guest: If you read the post above you’ll learn what you’re doing will help but not solve the problem. In fact the point you made about being there “12yrs” and “never saw them before last summer” is to be expected. As explained above, springtails accumulate in the soil and will get more and more dense when left untreated. Over time your turf can get so full of them that when they migrate looking for a new place to live, some will get inside the home. To stop this from happening, keep spraying the liquid Bifen like you’ve been doing. But this alone will not stop them. To keep them out altogether, you’ll need to start treating the turf with the Bifen Granules too. In the end this regime will reduce the numbers in the lawn and eventually there won’t be any left to forage or migrate up and into the home. I have read all your articles and watched your video regarding springtails. We, however, do not have a “nest” area. We just built our house and have only been living here for 7 months. We live in rural NC and built on an acre of land totally surrounded by farm land. Our entire yard seems to be COVERED by springtails. We have grass that is trying to grow in, but most of our yard is still rich soil. 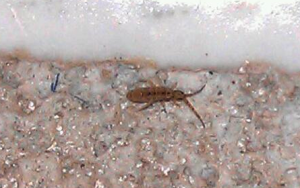 We started seeing a few springtails in our bathtub and sinks about 3 weeks ago. 12 days ago we came home at night to find THOUSANDS of springtails on the first floor of our house – only in the master bathroom, kitchen, and also in our master bedroom, and my walk-in closet. I lost it when I saw them even on my bed. We sprayed bug spray and vacuumed and slept (not really sleeping) upstairs with our kids. That worked for a few days, but then we started seeing them upstairs as well. My panic attack really, really happened when I even saw them on my son’s bed upstairs. I am such a manic cleaner anyway and this is driving me INSANE. I vacuum one or two times throughout my entire 2400 square foot house EVERY DAY. I spray ortho home defense bug spray around the perimeter of my kitchen and bathrooms a few times a day. That kills the ones that are coming in while it’s still wet, but the residual does nothing. Our exterminator came last week and he said there is nothing they can do for us – he said they are migrating and we just need to wait it out. Well, now that it’s been 12 days and they’re no better than they were 12 days ago (and I’ve even gotten a prescription for anxiety medication – not kidding), I’m sick and tired of waiting it out. I keep thinking that if it dries outside, things will get better. Well, we rarely go more than a few days without having a thunderstorm this time of year, so I don’t know if it will ever totally dry out. WHAT DO WE NEED TO DO??? 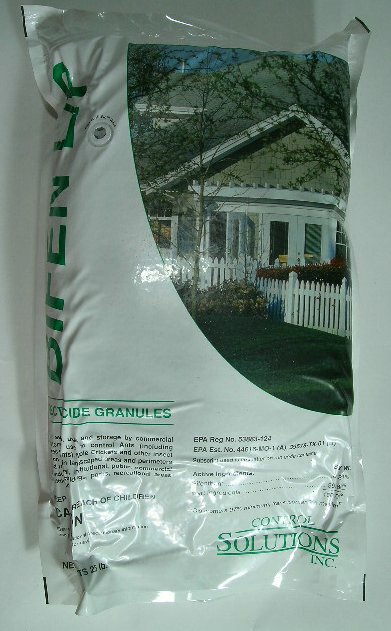 I read about spreading bifen granules, but should we do this on our entire acre of land or just immediately around the house? My husband has been setting off bug bombs under the house in the crawl space every night (there are thousands and thousands under there every night as well) and it kills lots of them, but they KEEP COMING BACK. I am literally going out of my mind. What do we need to do??? Does it have anything to do with the empty wheat fields around our house? @guest: Read the above post and our article as they cover all you need to know. The bottom line is springtails thrive in soil and you’ll need to start treating heavy in your turf with both the liquid and granules. Eventually you’ll knock them down enough outside so they don’t come into the home. But treating inside is a complete waste of time and I suggest you quit spending your money there but instead start using it where it will matter: out in the yard. I am experiencing almost identicial circumstances that the guest “Insane from NC” above has stated. We have a 3600 sqft home and have been treating the inside of our home for what we thought were fleas for a month now. We are going insane. We finally had a new exterminator come out and identified the bugs as springtails. Whoever says these do not bite needs to see my legs and hands. I have a 3 yr old that also has bites on his arms. We moved upstairs b/c we noticed they were all downstairs in our Master bed and bath, but they have moved everywhere in the house. We just had Steam cleaners out today and the pest control is coming for the 4th time tomorrow. After reading and researching this topic, should I conclude the only way is to attack the outside of the home? We are desperate at this point. But why did the problem start in our master bedroom? We have an entrance to the backyard from there but rarely use it. Is it possible we might have a mold problem? @Kelly: I sure hope the service company you’re paying is doing a bunch of treatments outside but if they’re not, I suggest you start supplementing their treatments to insure you get the problem solved. I say this because I’m 100% sure the problem is originating from the outside. Now whether it’s in the lawn, flower beds, under a sidewalk, a patio or some place else is anyones guess. Usually locations can be treated and then one by one they can be eliminated as a source once they’re protected. And don’t rule out the possibility that the source could be coming from under the home. If your house is a slab, this can most definitely be the main problem. The bottom line is if you don’t get to the source of the springtails, all the topical treatments done inside the home won’t help at all. As our article explains, springtails can’t live above the ground out in the open so once they get there, they’ll die anyway. The point is there isn’t much benefit in spraying where you’re seeing them because that’s not the important area to treat if you want them to stop coming. Get the chemical applied where it matters and you’ll start getting results and since it can take a long time to figure this out, the sooner you start the outside soil surrounding the home, the sooner you’ll see results. Are the Bifen granules and cyonara spray safe for my kids? They are 3 y/o and 6 y/o and have an outdoor playground in our backyard. I am ready to treat the yard, but I want to make sure it’s safe for the kids. Also, it’s supposed to rain here in the next few days. Is it better to treat before or after, or does that not really make a difference? @Lea: On each product page we have a “safety” video which explains in detail what you need to do for both storing and applying the product safely. In general you need to keep the pets and kids away from the area during the treatment but afterward they can come back and behave as they always have with no extra risk or danger. More details are in the video’s and these are different for each product (one for granules; one for liquids, etc.). Regarding the rain; you need a lot of water to get the product down deep where it will do the most good so in fact applying some before rain is best unless you’re able to water them in via an irrigation system. For some pests it’s the opposite but with springtails, going deep is required so the rain is a help. @Kelly B: It’s rare that anyone “over treats” when it comes to springtails so I suggest you go heavy with the Bifen granules first followed by the Cyonara over the top right after. We have found that approximately 50% of the people who treat can get great results immediately and the other 50% seem to be in battle. If you fall into the second group, getting them under control will only be achieved by snuffing them out where they are thriving and this will no doubt turn to be in the soil throughout the yard surrounding the house. And since trying to isolate one or two “nests” is not practical, use the shot gun approach and treat as much as possible as frequently as you can. In the end this will prove the most effective and efficient. Few more questions if you don’t mind… We notice that they really don’t come out until about 7:30pm and then they cover the house inside and out..Also out of curiosity we went and looked at the sides of both of our neighbors houses and yes…they have them too!! Now what?? I have ordered Bifen granules & Bifen IT, How strong should the liquid be? @Tech Support: I live in an apartment in North Texas. The building has twelve units and three floors. I’m on the second floor facing the golf course. I have been dealing with this problem for exactly one year this month. Exterminated several times but to no avail. No other apartment has been invaded. They are biting me like crazy. Could it be something else? They are not fleas and the exterminator said he doesn’t see anything and thinks I’m crazy. I have bites all over my legs and arms and on my back. It’s horrible at night. Could it be the drains? When I walk in the kitchen and master bathroom they jump on my feet and legs. And they bite me in bed. They get in my clothes too. Please help. Since springtails don’t bite, they can be ruled out. But no matter what they are, if its an insect, you can kill it with the right pest control treatment. So with that being said, at this time I recommend spraying all the floors, carpeting and furniture with Bedlam Plus. This aerosol will control anything that might be crawling and/or living on the floor. One can can cover up to 1500 sq/ft and it will kill both adults and eggs. Expect to treat 1-2 a week until the problem is gone. But since you might have some kind of flying pest, I also recommend you set up some aerosol machines equipped with Clear Zone refills. This will kill off anything active in the air. One can will last 30 days and in general, they will be needed for 30-60 days before they break the life cycle. Doing both treatments will cover you no matter what the pest might be thus insuring you’ll get rid of the problem in 2-4 weeks assuming you treat enough. @Shawn: There is no need to treat the crawl. Just focus on the real problem which is no doubt the outside area and you’ll be fine. I now have springtails in my house and would like to treat the outside but my home has a well.The water comes from an underground Aquifer,are the chemicals you described safe for use in this situation? @Tony W: All the products listed above can be used safely where well water is in use. There are some extra “rules” you should follow and here is a summary of the two important “10 Foot Rules” we consider to be a good guideline is assessing the area to be treated. 1) How deep is the well water? This is very important. In most cases, well water is quite deep. It’s not uncommon for water levels to be 100-200 feet or even deeper. In these scenarios, treatments done on the surface will never get through the soil to the water. In fact, the active ingredients can only penetrate a few inches; a foot at most. But if your water table is high, say just 5-10 feet deep, I’d wouldn’t apply granules or liquid. I say this to be on the safe side. Even though it’s not likely the products would penetrate enough to have an impact, the risk is simply not worth it. So if you’re well water is only 10 feet deep or less, don’t treat outside. 2) This same “10 foot rule” applies to the well pipe, pump house, etc. and it’s relation to where you want to treat. In fact, the well pipe is a direct line to the water below and in many cases gaps can be created alongside the pipe and the soil allowing for water to filter hundreds of feet down. For this reason it’s advisable to stay at least 10 feet away from any well pipe. Leaving this buffer zone of untreated soil will insure there is no runoff or trans-location effect carrying active ingredient to the pipe and then down to the water below. So if you stay at least 10 feet clear of the well pipe, you should be fine. One other big factor is that springtails love to thrive just under weed preventing mats, mulch like pine straw, wood chips or rocks as well as cement slabs. The point here is they like to be “high” up in the soil level. It’s at this level where the products can have a big impact so really, there is no need to over apply anything or to put out so much there would be a chance of anything filtering down extra deep. Focus on the shady, moist areas of the home with regular treatments and you should be able to knock them down to acceptable levels. And once this happens, treating a few times a year should keep their numbers in check. If anyone has ever had a Spring Tail Infestation in and outside of the home.. it is us. Talk about panic attacks and sleepless nights. I have never heard of this little pest and it took our house by storm. They are in every room of our house.. and not just one of them… tons of them. They are on everything and even in the cracks of our hard wood floors. We haven’t been agressive in treating them because at frst there were only a few…and I had no clue what they were… not we are scrounging to get rid of them and I feel that it is hopeless. If anyone has ever experienced such a problem inside the house, please post. I feel like my problem is not normal. We had pest control come out twice in one week… and that really didn’t do anything. have two small children and am making myself sick over this problem. Please help! @Tiffany: I guess maybe I should clariify…. after re-reading my post, I maybe overreacted, but that is how sensitive I am regarding this issue. I have a very clean house. But things Spring Tails are in every room of my house. To see them, I have to look for them.. but they are there. Hi, I am having a problem with springtails. We have done everything so far on the do not do list. We got a professional company to come out and spray twice now. They are now on my bed and in my bedroom. They keep telling me that they will go away and to just give it time. I am concerned that time will only make it worse, especially now that I’ve read the above article. I’ve read everything that needs to be done outside. Do they have companies that specialize in this and will treat your yard the correct way? @Gina: It’s not easy to find companies that will treat as thoroughly as is needed. This happens for many reasons. One of the most common is that the general public believes the company they hire should spray where the pests are being seen. In the case of springtails, spraying inside the home generally does not serve much benefit. Other reasons include the cost of chemical and time restraints. Applying enough product to solve these types of problems isn’t “normal” for most service companies. And since problems can (in some cases) be resolved with minimal amount of product applied, companies will generally start with less first to see if this approach might work. The bottom line is for any service company to do the right job right away, the initial cost would be so high that most consumers would not pay to get the work done. In the end, this is one pest that doing the work yourself can be more productive in the form of less time needed to fix the problem and a lot less frustration one has to endure during the process. @Gina: We are experiencing the same thing, Gina. It’s almost digusting. I too am having problems with these little annoying things. We’ve been dealing with them for the past few years and it just doesn’t seem to get any better. They are all over the inside of the house and I can see them outside on the front cement patio. They originally started in the bathroom in my bedroom and have spread themselves all through the house, I’m thinking that they are in the walls. I live in NY and noticed that I can’t have the Bifen Granules shipped here and was wondering why? Will the alternative products you mention work just as good? Please help, I’m at the end of my rope…. I never thought that these lit’l pests were springtails. Thought they were bed bugs. I was releived when I heard they were not bed bugs but you can’t get rid of these things. My daughter had several bites on her and I did too. I wonder if they bite. They say they don’t but I wonder. Anyone knows. We are just starting the long hard fight against these bugs and I know it’ll be a long ride. We live in the country and they are in every bed in my house because of the moisture from Hurricane Katrina. Our attic got rain and it stayed wet for a long time and I know we had moisture, mildew and mold. We know that this is the cause but don’t know how to go about fixing it in the attic or on the ground. Also the air vents probably have mold & mildew. Our Central Air went out so we are using air condition units and the moisture on the ground there is bad also. We don’t know where to start or how much it will cost to get rid of these pests. We are researching and taking notes on the chemicals to use and will try our best. Thanks to this site. I can’t believe we have something else to haunt us. Hurricane season just started. Lord have mercy! We have a springtails. Just noticed them this year in Bathrooms and Kitchen. Your article was very informative but what about sandboxes. My son has one and the sand is dry in it. I opened it up this afternoon and there were so many it creeped me out and didn’t want him to play in there. If they die once there are above ground why are they surving in the sanbox? My husband also has been getting free mulch from the local recycling center. Could this be where these started coming from or just in our ground and we’re finally seeing them come out? @Shanna: First, there is no way you’re bringing home any in the free mulch that could be significantly contributing to the problem. I’m sure it’s the soil surrounding your home that’s infested and will need to be treated. That being said, the mulch could have some but they won’t be able to have any significant impact on whether or not springtails can live and thrive on your property. As for the sandbox; there are two scenarios I’ve seen over the years that cause springtails to infest sandboxes and it’s based on how they’re constructed. In one design I’ve seen, the owner builds a frame and fills it with sand which is placed directly over the ground with nothing between the sand or topsoil. When it rains, the sandbox will accumulate more water than the surrounding area and this water will leach down slowly into the topsoil underneath the sand. The leaching of all this water will make this part of the yard very moist and ideal for springtails. The only viable solution I’ve seen once this happens is to “elevate” the sandbox above the ground which will allow the water to filter out of the sand, onto the top soil and then disperse naturally and evenly throughout the yard. Basically the current design is acting as a water collector and in doing so will make it ideal for springtails to gather and live underneath it. Remember too the sand acts as a type of “shade” which will help keep the soil moist a lot longer directly under the sandbox compared to the surrounding area. This is perfect for springtails. The second scenario I’ve seen with sandboxes is when they’re built with a plastic liner underneath them designed to “hold” the sand inside the box. In this case the water which collects cannot escape and in many situations will lay under the sand unnoticed by the users. Once a springtail or two finds their way into the sand, they’ll prosper and quickly multiply to huge levels. In this scenario, you’ll once again need to elevate the sandbox and build a drain system into the base so the frame won’t be able to accumulate water anymore. Lastly, it’s important to understand springtails live naturally in just about all soil (at least soil with moisture and organic matter). When conditions are ripe (like overly moist conditions when the surrounding area is dry), they’ll focus, over populate and migrate. This is clearly happening at your house and failure to treat the soil and reduce the water accumulating will allow them to prosper that much more. I suggest you start by redesigning the sand box and reducing the moisture around the home ASAP. I also suggest you start treating with the Bifen granules and liquid Cyonara to help curb the numbers multiplying in your soil. As explained above, this problem did not magically appear overnight so don’t expect it to go away anytime soon. I would expect the process to take 6-12 months. We’ve lived here for 2 years and we just found them today. I went to plug my cell phone into its charger (that I leave plugged in and laying on the carpet) and they were completely coating it, yuck! Then after looking more closely they were all over the window sill, wall outlets and along the baseboard heating unit…and probably other places we haven’t discovered yet as our carpet is light tan and I’m a little scared to look harder for them! The problem is we live in an apartment building so treating the outside isn’t an option for us. And after reading some of these stories above it seems like many pest control companies either have no idea how to treat for springtails or they don’t do it effectively. How can we stop them from taking over our apartment when we don’t have the ability to treat the soil outside? Will using the deltamethrin dust & d-force aerosol just delay them from entering our apartment until they find a new way in? Will spraying along all the walls at least keep them from using our apartment as a migration route? It’s just about odorless and since you can’t treat outside, I’m afraid you’ll be forced to do a lot more treating inside to help keep the springtails at bay. That means the less odor type product you apply, the less lingering odor you’ll have around. Under normal conditions, the D-Force is fine when applied 1-2 but you don’t have a “normal” situation so the Cykick would be the way to go. As for the Deltamethrin Dust; if you can get some applied into the wall voids the springtails are using, it will no doubt help reduce the number you see in the living area. Lastly, be sure to keep anything important off the ground and away from the main points of entry. Thanks a lot especially to the technician. I am still not sure about the things I fought; springtails, mites??? But thanks to God and Tech; I got this place and had the problem for around two years. I thought it was driving me crazy! I was really desperate plus I had the problem in my car and at my job. At the end, I did not understand what was the focus problem. After reading all these helpful messages, I started checking little by little and got more information. Finally, Eureka …!!!! I read the main focus is outside in great percentage. I was always focused inside. I was not correct; in the yard I did not get anything. However, long ago I remodeled the bathroom and the toilet was not sealed on the base. The contractor said it was not anything and you cannot even see it. You do not believe but the gap was so tiny any bad smell I would get so I thought it was a real problem. A month ago I bought white caulk vinyl and closed it. Thanks God! Since then I have been sleeping as an angel and hope these annoying ones do not come back to my house. I wish the best luck for everyone. Check your house by parts and do not forget the bathroom or humid areas as they are prime entrance points. We just moved into our new house this Feb. and started seeing spring tails in July. We are expecting a baby in a month and would like to see them gone before he arrives! We have been doing everything we can to eliminate any moisture problems, and sealing up any cracks or crevices. But we live in a split level a sort of “half basement” that isn’t finished so its not very sealed up. Will treating the yard still help? @guest: If you read through the post above you’ll learn in fact the only way to get rid of springtails is to treat the yard. So to answer your question; treating the yard is the only answer. And if you give it a little time, you’ll soon learn that attempting to “seal” them out is just about impossible. This is because there will be an ever increasing population just outside and around your structure and if left to grow as it wishes, their numbers will become so bountiful they’ll be able to penetrate any structure above grade. Unfortunately, as you’ll learn when reading above, problems like you have will not go away anytime soon. In fact, I’m pretty sure you’ll have them the remainder of this year and most likely next year even if you treated. To get complete results, it usually takes a good 1-2 years for the net affect to reduce their population enough for any discernible results to be seen. Hi! I’ve been having what I think is a springtail problem for the past month now. I noticed that after a huge rainfall, there were quite an abundance of ‘jumping’ type little woodlice type critters. They are too big to be fleas IMO and besides we don’t have any pets. I thought they were small woodlice at first but then on closer inspection they seem to be a little furry and have anntennae. Anyway my house is known for being kind of damp but that’s why we purhcased a dehumidifier which collects a few litres of water a day. Anyway we’re still seeing these critters even with the dehumidifier turned on and they are in random places like in my hallway, living room, kitchen…not where any water sources are like bathroom etc! Do you think they are indeed springtails? And where can i purchase the bifen granules in the UK? @lisa: Sounds like springtails but I would bring some to a local authority (someone in pest control) who would know for sure to get the exact id. Once you know for sure, proceed with some of the treatments listed above if they are in fact springtails. And though I’m sure you won’t be able to get the products we have listed above, you should be able to get something comparable that will help. As explained above, the key is treating the source and in most cases, that will be the soil around the home. Granules and liquid residuals should do it if you stay the course. Is it possible for springtails to be on dogs? Especially dogs that are out in the fields when hunting? @Ann: No. As explained in our springtail article, they’re short lived once they emerge into the open air and would not be able to withstand any kind of direct contact with people or animals. @Robbin: If you read through the article above, you’ll learn that what you’re seeing is just a migration from where they live. And I’m guessing they’re living in the ground adjacent to the door or under it. I’ve seen them emerge in great numbers from stoops and patio slabs so it would be a common location for sure. More importantly, if you don’t treat the soil as we describe above, they’ll keep coming. Hi, where can i get bifen granules and cyanora in Malaysia? I’ve been having what I think is a springtail problem. Other than bifen granules, what product i can get in Malaysia? Hope can solve this problem as soon as possible. Please help,thanks! @angeling: I am sorry but it’s not likely you’ll be able to get either of these product locally. Though we ship many items abroad, we’re not able to ship most of our chemical products and these two are prohibited from being shipped overseas. Sorry we can’t help more. Hi, I was hoping you could help. We have had a springtail problem for three summers in a row. I am losing my mind over this. We have them in every room of our house, as well as in our beds. I take anxiety meds at night just so I can sleep. I see them crawling all over the outside of our home. We have a brick house, with siding on the top. We also have a front porch, they are all over the porch and the windowsills etc. We have a very small patch of grass in front of our home, however the grass is not close to the house whatsoever. What can we do to get these bugs away from our house???? Thank you!!! As you’ll learn, its paramount that you spray around the outside of the building using both Bifen Granules and Cyonara RTS. This needs to be done often; at first you might have to treat a couple of times a week to get the numbers reduced. But its critical that you kill all you see outside if you expect to not see any inside so focus on the outside of the home to start. Next, get some of the Phantom and apply it to every crack and crevice you can find around baseboards, windows, door frames, etc. Basically these are routes of entry and since the migrating springtails outside the home are coming inside via these cracks and spaces, treating them properly will help stop the invasion and take these spots away as good hiding locations. In most cases, if you focus on these treatments making sure to use enough product when you treat, the numbers you see will diminish and eventually disappear. And over the course of a year or so, you should be able to reduce them enough outside so that none will migrate inside. But this will take time and a lot of treatments so don’t expect immediate erradication. Thank God I found this website. We are feeling defeated, hopeless and desperate. We live on the bottom floor of a 3 story condo building. Recently there was a pipe leaking inside the wall of our kitchen. They fixed the leak by tearing into the wall under the kitchen sink in the unit above us. We now have an infestation of springtails, red eyed fruit flies and fungus gnats. We believe this all stems from moisture/mold inside the wall from the leaking pipe. This is where they are coming from it seems. Would the springtails have migrated from outside or under the slab to the moldy wall void? We have NEVER seen springtails before and have lived here 13 years. Should we have mold in the wall void removed? We also have soil under our wood patio in the back. Should we remove this soil and cover with concrete? Would a dehumidifier in the kitchen help? We don’t know what to do! This is an absolute nightmare. Please help us! As you’ll learn, foaming the wall void with Boracare and our Foaming Tool will solve this issue easily and without mess. And if you read our Springtail article, you’ll learn that springtails come from the turf that surrounds the home. And though they can live inside homes, reducing moisture won’t stop more from invading. In the end, the only way to reduce and/or eliminate the invasion is to treat the exterior of the condo with the products we have listed in our article. In most cases, a steady routine of Bifen Granules and Cyonara RTS will do the job. And this should be done whether you cover any exterior dirt with concrete or not. In most cases covering the dirt is a bad idea since you’ll be creating a void under which springtails will most likely love to nest. But whether you do or don’t, the bottom line is springtails occur naturally outside the home and if you don’t treat the grass and dirt surrounding the home on a regular basis, some will eventually start migrating inside. And based on how long you’ve not seen any inside, I think its safe to say this process has finally started. And here are links to the items you’ll need to control this problem. Please show your support for our business by purchasing the items we recommend from the links provided. Remember, this is the only way we can stay around and be here to answer your questions and keep this valuable web site up and running. Thanks for your business! I have these springtails in my Orlando, FL home and have never had them before 2 months ago. In late January of this year, I completely turned off my central air conditioner and opened windows to save money and have kept it off for the next 3 months. This is when they began to appear, so I’m suspecting that turning off the A/C created the moisture and humidity inside for them to invade?….Last week, I turned the A/C back on to dry out the home and eliminate moisture. I now keep all windows/doors closed to keep outside humidity out. Since I never saw them before turning off the A/C in January, could this possibly be the reason they so suddenly appeared? And if so, how long before the cool, dry air of the A/C eliminates them? Is there an end in sight…and they may just as suddenly disappear by keeping the home cool again?…And what is the ideal inside temperature to keep that will discourage them? Currently, my stat is set at 78. Thanks for any advice! If you read our springtail article, you will learn that there is no relationship with the inside temperature or humidity of your home to invading springtails. As our article explains, springtails exist naturally outside in the soil. And when populations increase to levels “above” what the ground around the home can sustain, they’ll migrate seeking new nest sites. This is when people start finding them inside. Now once they start migrating into a home, its just a matter of time before they start nesting in wall voids, around window frames, etc. unless you take a proactive approach and treat the problem. So to start, if you get into the routine of applying Bifen Granules around the home and spraying with Cyonara RTS, you’ll begin to drop their numbers to where less and less are around available to migrate. This in turn will stop them from coming inside. And for the time being using some Dforce or Phantom aerosol inside is strongly recommended to make sure any inside don’t start to establish nests (which is what they intend on doing). In summary, the only way to control this pest is by getting them where they live and that is around the home. In the end, using this approach will enable you to do as you wish regarding the windows, AC, etc. As for all your questions regarding temperature settings, how long it will take for them to go away by adjusting the temps, etc.? These settings have nothing to do with the problem so keep the temps where you want them. Our house is built on a crawl space. We have only lived in the house one year. Last summer I only saw springtails on the exterior of the house at times. This winter we had the crawlspace lined/sealed and a dehumidifier added and since the end of May we have had springtails appearing in our home. We are currently in the process of testing the outside but are wondering if lining the crawlspace could have started this problem? Please advise. Nothing done above ground has anything to do with springtails. As our article explains, they live in the ground. And they live throughout the world serving some very important roles in the balance of most any landscape. But when the local springtail population gets large enough, they will be forced to migrate up. During this time some will many times end up on homes and from there, inside the homes living area. This is especially true for homes where no pest control is being done on the outside soil. So in this case, whether you had your crawl space lined or left it open has nothing to do with the local population. Remember, springtails are not “smart” and do not activity forage for good areas to live. The only reason they even emerge from the ground is when there are too many of them in one location when that happens, some are sure to forage up your homes siding. The good news is that most of these will die because obviously the homes siding is not “ideal” for springtails to thrive. But if there is enough humidity outside and the temps are warm enough, pockets of springtails are likely to develop on the home’s siding and from there, migrate inside. Now obviously they can also come up from the foundation, through slabs or from sink drain lines. But in the end, all of this has nothing to do with inside moisture levels, what you do in crawl spaces, etc. The only variable that is important is what your local soil is breeding. So what do you do? Simply put, control the outside breeding and ideally, try to stop it. By stopping the outside breeding, you’ll be able to effectively stop the migration and this will end the springtail sightings. So for now, I suggest you start treating the homes exterior. Apply 5-10 lbs of Bifen Granules around the home every month combined with Cyonara RTS sprayed over the top. Be sure to spray the homes siding with the Cyonara as well. Inside the home treat with PT-221 along baseboards, countertops and down drain lines where springtails are active. This way you’ll avoid any “pockets” from getting established. Lastly, spray the crawl space walls and surface with Bifen IT applied with a good Pump Sprayer once a month too since they can no doubt be coming up from underneath the lining. This will require 1-2 gallons of mixed material. We had a horrible springtail problem in our previous house in MO (we started the yard treatment with your products but moved before we saw an improvement) and now we have only a small problem so far in our new house in Michigan. Is it at all possible that we brought them with us from another state? From the article and previous comments, it doesn’t seem likely but I had never heard of these things before having them in two consecutive houses. Also, do you have any success stories? I could use one. Three years of my life so far has been preoccupied with springtails. First, we have been helping customers solve springtail problems for over 20 years and anyone that follows the recommended treatment regime will achieve success. But to reach that goal, there are a few things you must understand. Here’s the “short” list. You won’t get instant results. True, its easy to kill the active springtails you see in the home using PT-221 and Survivors. But they will quickly be replaced by more so its important to get them at their source. So where is the source you ask? Outside. That means you must be relentless treating the outside of the home with Bifen Granules and Cyonara AT LEAST ONCE A MONTH AND SOMETIMES MORE FREQUENTLY. In fact this the only way to achieve success and for anyone who “fails” to reach their goal, their failure can only be due to one or two reasons. 1) Not enough chemical has been applied or 2) the chemical being used isn’t being applied in the right location. This we know for a multitude of reasons. The big reason is that springtails are very easy to kill. In fact they’re quite weak and fragile. But because they enter homes by the thousands, it requires repeated treatments and perseverance to end the migration and this is where most people “fail” when their goal is not reached. More importantly, treating just the inside of the home will rarely (if ever) end the sightings. In fact the reverse is generally true; treating the outside ground and homes exterior siding will many times end the sightings inside the home. As for carrying springtails with you to another state? Not likely. And its definitely no coincidence that you have them in both homes. You see, springtails exist pretty much everywhere here in the states. And what I mean by “everywhere” is any fertile, moist healthy soil will host springtails. The only exception would be dry arid climates like the dessert. But most any yard with irrigation or rain will host springtails and if the local population in the soil gets large enough, they’ll start migrating up and onto homes. And from there, its just a matter of time before they get inside the home. The point is simple: don’t look for reasons why you have springtails if you want them gone. Instead, take a proactive approach and treat the problem using the following approach and you’ll be rid of them in 6-12 months as long as you stay the course. First, apply 5-10 lbs of Bifen Granules around the home once a month. Second, spray over the top with Cyonara RTS immediately after applying the granules. Cyonara should also be used during the month if you see any activity on the homes exterior during the 30 day interval of applying the granules. Third, apply PT-221 to any baseboards, window sills, doorways etc. inside the home where you see activity including down the drain. Fourth (optional), apply Survivors down the drain weekly if you see them coming out of the sink. I plan on purchasing Bifen granules and the Cyonara RTS from your site, but I’m wondering if these products will help in controlling earwigs as well? I currently have a problem with both springtails and earwigs, but the springtail issue is way worse. I’m hoping we can at least knock off a few earwigs along the way. I know exactly where both are coming from. I have mulched areas/flowerbeds (i.e., highly hospitable places for earwigs and springtails) that line the perimeter of my home right up to the foundation. By the way, thank you so much for this well-written and concise information. I’ve spent hours online reading about springtail control, but it seems most every other site is just regurgitating the same info over and over. I finally feel like someone “gets it” and knows the issues homeowners face when dealing with springtails. In fact the treatment will control just about any pest using the treated areas. The list is long but rest assured, earwigs are on it! Just want to say “Thanks” to you guys! I’ve followed your advice and am happy to report a reduction in springtails. I purchased the Bifen granules, Bifen XTS spray, spreader sticker, deltamethrin dust & duster, and PT Phantom last month. I followed your directions for application, and after 20 days I notice the springtails have decreased by more than half. And, I haven’t seen one earwig at all (I recently posted here about my problems with both earwigs and springtails). I’ll continue with applications since springtails take some time to control, and will post back with progress. To any others with springtails problems, if you get the recommended products and follow the advice by U-spray, you should notice results like I have. It may seem pricey at first, but consider that only ONE visit by pest control specialists will cost the same as what you’d pay here for products that will last you a year or more. It’s definitely worth it. Good to hear your making progress and thanks for the feedback! So I live in Los Angeles and have had a spring tale problem for a few years. They are all over the outside of the house and concrete surroundings and up untill recently now in the house. However a few years ago I installed artificial turf in my yard about 2000 Sq feet, and guess where the springs love to live? Under and in the fake grass. So I want to order all the treatments but have a diffrent issue because of the artificial grass. Although the grass has good drainage is there going to be an issue spraying this stuff all over my plastic grass? Especially with little kids playing on it? First and foremost, all of the products listed above can be use safely where people and pets are active. That being said, I’ve seen a range of artificial turf with some models being super thick and others being super “flat”. So if your install has long “grass” like strands, the granules should mostly disappear when applied which would be ideal. But if your turf design has a flat low surface, the granules will be both visible and likely to get stuck to ones shoes. 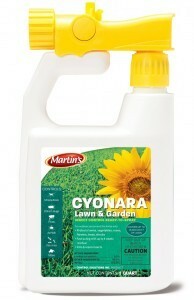 So if that is the case, I would forego using granules and instead, stick with the Cyonara spray only. It will work fine and do the job but for cosmetic reasons, using the granules would be both unsightly and messy if the turf is really short. Thanks for all the help. I’ll be following your advice. I live in a mobile home and recently had a leaking outside pipe, which must have been when my problem began. Have since seen them in my kitchen only so far, right under a window. BUT, I have sticky pads all over counter under window, plus IN window..no springtails at all in window but hundreds on countertop. Sticky pads inside cabinet under kitchen sink (1 foot away from window)have zero bugs. I’m very worried that they are coming up the drain..at least I see fewer when I keep drain covered. I had read in another site that the bugs coming up your kitchen drain was a sign of a busted pipe…? Anyway, my insulation was saturated when the pipe was leaking (for about a week before I had it fixed)and this insulation touches the bottom of the home, so after reading that these bugs feed off mold, I assumed I had a mold problem. So, I suppose I will treat the ground as you suggest and THEN see if the problem continues (ie, if maybe they are thriving from molded floor).It’s very difficult to see past the insulation under home and I’m a 70 yr old woman on a limited income so I can’t really afford to call in someone to inspect for mold. I’m just thankful that I’ve not had them migrate all over my house YET!! I’ll just have to move if that happens. I thought I should mention that this kitchen window overlooks the shadiest part of my yard, where grass won’t grow and I have an outdoor shed just about 6 feet from the window, which I’m figuring I will need to ask someone to help me move if it seems this is making matters worse.. All help appreciated!! First and foremost, its important to understand that springtails exist everywhere and are a key “recycler” in our environment. Second, they don’t “think” or make conscious decisions. This means they are out in the yard all around your home and if you allow them to thrive that close to the home, its only a matter of time before some come inside. This will happen whether you have busted drain line or not; whether you have active mold growing under the home or in the home. Springtails aren’t “attracted” to anything. They exist where they exist and as they populate, they will expand their territory. Now if the new territory they enter can host them, they’ll survive. Obviously a moldy area is more conducive to keeping them alive. But the bottom line is all these environments can be kept springtail free by treating whether you fix the pipe or just leave it; whether you remove the mold or let it grow. Lastly, treating down the drain will quickly solve this problem. Simply pour Survivors down the drain once a week and spray with Cykick 2-3 a week. They’ll be gone immediately and if you keep spraying, they’ll never come back. Now even though this treatment will get rid of the ones in your sink, failure to treat the outside will almost assuredly allow them to start entering via windows, doors, etc. so ultimately applying granules and spraying over the top around the home is really what will knock them out for good. Thank you so much for all the great details. A little over a week ago, I first noticed springtails coming into my home… mainly in the kitchen, windowsills, baseboards, and now our tubs (this morning I counted nearly 50!) I am going to order the products you listed. My question is, it seems as if it takes quite a while for the Bifen granules to start working, and I am just wondering how much I should worry about springtails nesting INSIDE my home during that time. Of course I plan on buying the products listed for inside treatment, but still worried the springtails will take over in a short period of time. I would greatly appreciate a response… This has felt like such a very long week and we have already talked about moving because I have read so many horror stories. In general, the outside treatments with Bifen G and Cyonara will stop them from coming inside. So to start, plan on using the granules once a month and the spray once a week for the first week, twice a month for the second month and if they’re gone by then, once a month with the granules once a month to ensure they don’t come back. Since you have them coming up in tubs, you’ll need the Survivors and Cykick for the sinks. 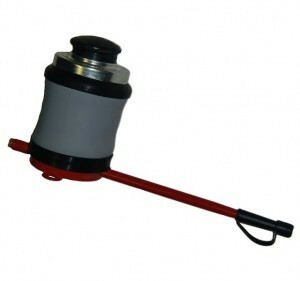 The Cykick can be used to spray around windows, baseboards, etc. as well. And as soon as they reappear after you spray, spray again. Now it might be true the granules take awhile to work but that’s because they’re targeting “deep” living springtails. The liquid spraying with Cyonara will be killing all active stages immediately as will the Cykick. And since these can be applied as needed, there is no need to wait for anything. In other words, if you see them, spray. Give this routine a month to work because in general, this will cure most problems. True, they can nest inside. But this takes a long time and only after you follow the regime detailed for at least a month should you consider doing more in depth treatments and that will only be needed if they continue to be seen. I have springtails on each side of my house. One side is lawn, one is a wood deck, another is gravel driveway, and the last is a slate patio. Do each side have a different treatment regimen? Or is the same as the articles recommend (Bifen G, cyanora, etc)? In general, the granules are designed to release into soil offering long term “deep” control. Liquid treatments with Cyonara are for surface activity and provide immediate relief. For this reason, the granules need to be applied where you have dirt or “depth”. In this case, it would be the side with the lawn and gravel driveway. But on a side with a deck; if its covering the soil underneath, then try to get granules applied but if you can’t, plan on spraying underneath as well as the deck top. And plan on toding this at least twice a month. Same with the side with slate patio; no granules but surface spraying with Cyonara for sure. Now as long as activity persists, you should plan on spraying at least once a week for the first month, twice the second month and then if they’re gone, once a month thereafter. Help! We put in a pool this past November and this is our first season using it. We have soooo many spring tales around the inside time of the pool every morning. We have no flowers, plants or muck has around the pool. It’s all concrete (patio and basketball court) and very little grass. How can we get rid of these? How do we treat the concrete? In the article you’ll learn first, that springtails can live anywhere. The soil all around the world is filled with them and from there, they will migrate up onto anything organic (trees and plants) as well as man made objects (like buildings). Second, what you’ll learn is that once they’re on something “above ground”, conditions for them to survive must include food, enough heat and some form of protection. These conditions can be found outside when its warm (where you live its not possible for them to be active outside). And in a home? Well, springtails can find the needed conditions most anytime of year which is why we field questions and calls for them all year long. So at this point, rest assured there is no “moisture” leading to your active springtails. True, enough moisture is required for them to live. But even the driest of climates has enough (we have many customers in the dessert regions of our country which is way drier compared to where you live). My point is simple; removing all the moisture you can or even everything in the home will not remove the springtails. So lets say you threw away your couch? Would that get rid of them? No. Heck, even if you removed the home there would still be springtails in the ground where the home once stood. So no matter what conditions exist inside the home, if you allow them to live outside adjacent to the home in the soil, some will be climbing up onto the homes siding, then under the siding and eventually, inside the home’s living areas. True, most will die attempting to do this. This is natural. But odds are high some will live and prosper and when enough succeed, this is when people start seeing them. At this time, it would appear you are having this exact scenario play out right now. Now in our article you will learn what can be done to treat and get rid of the problem. Given its cold outside, I’d focus on our listed inside treatments. But come spring (March-April where you live), you would be best advised to start treating the outside of your home if you want to stop them from coming back inside and getting reestablished.